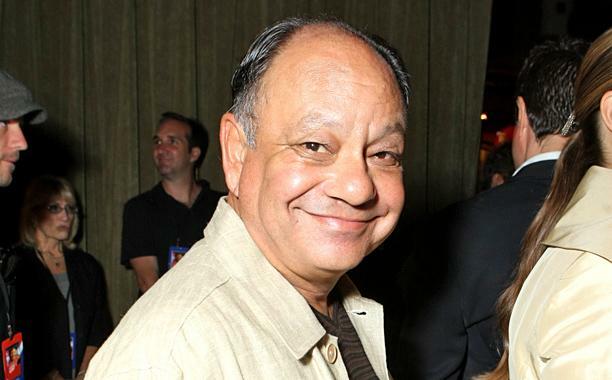 The 72-year-old Mexican-American actor, stand-up comedian, who rose to acclaim as part of the comedy act Cheech & Chong during the 1970s and early 1980s, is set to help Disney’s The Little Mermaid celebrate its 30th anniversary. In celebration of its anniversary, The Little Mermaid is once again being celebrated in a live setting with orchestral accompaniment. Returning after debuting in 2016, Disney’s The Little Mermaid Live in Concertat the Hollywood Bowl, on May 17 and 18, celebrates the film written and directed by Ron Clements and John Musker with two evenings of music that include Glee‘s Lea Michele as Ariel, Mrs. Doubtfire‘s Harvey Fierstein as Ursula and Marin, who has appeared in Disneyfilms like Cocoand the Cars trilogy, appearing as The Little Mermaid’s lobster-loving Chef Louis. The live show will also feature Leo Gallo as Prince Eric, Peter Gallagher as King Triton, and Ken Page as Sebastian, taking place at the “Hollywood Fish Bowl Dive-In Theatre” with plans to remake the iconic venue into an ocean paradise. Music from the Oscar and Grammy-winning score, as well as Broadway’s The Little Mermaid, will be performed by a live orchestra led by conductor Michael Kosarin, followed by an encore from the film’s composer Alan Menken, whose credits include Beauty and the Beast, Aladdin and Pocahontas. To recreate the feeling of an underwater night out at the “dive-in,” the evening will include “a full program of aquatically-themed previews of coming attractions, nostalgic animated snack bar commercials and the 1938 Silly Symphonycartoon ‘Merbabies‘ featuring the world premiere of a live original score composed and performed by 17-year-old piano sensation Emily Bear,” according to a press release. Award-winning creative studio Mousetrappe will utilize projection mapping technology to transforms the facade of the 19,000-capacity venue into an underwater paradise that comes alive with marine life and fauna. Little Mermaid Live is directed by Richard Kraft. Tickets go on sale Friday (April 5) at 10 a.m. PT. Presales are available for American Expresscard members.